Has your dog been labeled dangerous or potentially dangerous? Einhorn Insurance provides Insurance for dangerous or potentially dangerous dogs. 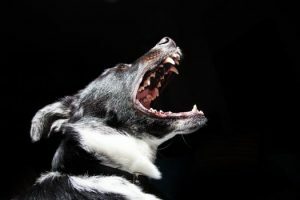 A stand-alone dog liability insurance policy is usually needed when a dog has a documented bite history, an insurance claim or an Animal Control record. Keep in mind, you dog doesn’t have to bite to be taken away by animal control. Dogs can be labeled dangerous, vicious or potentially dangerous for simply escaping from a back yard and running loose in the neighborhood. In the event your dog has an incident, Animal Control will most likely keep your dog(s) in quarantine. During this time, Animal Control will conduct their own investigation to decide the fate of your dog(s). The investigation may include interviews with all parties involved (including any witnesses). Eventually, Animal Control will hold a hearing and determine the fate of the dog. The dog may be innocent or labeled “vicious”, “dangerous”, “potentially dangerous or vicious” or euthanized. If your dog is returned to you, you’ll most likely have to comply with a list of conditions set by Animal Control. One of these conditions will be dog liability insurance. At Einhorn Insurance, we understand if your dog needs insurance because they are labeled dangerous or potentially dangerous, it is possible your dog was in a bad situation; not because you have a “bad” dog. We know this is a very stressful and upsetting time. We are here to help find responsible pet owners find a solution. Our goal is to bring your dog home and allow you to keep your dog. https://einhorninsurance.com/dangerous-dog-liability-insurance/ and click the GET A QUOTE button. We try to respond to your request the same business day.